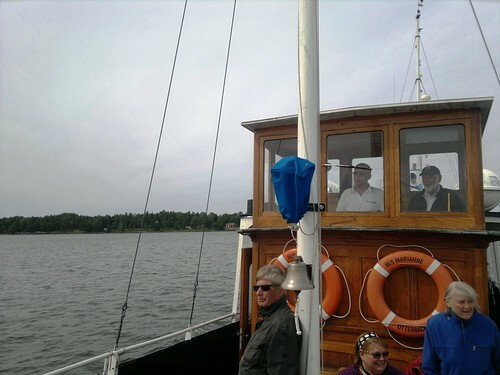 Oslo Blog Gathering; A guided adventure in Oslo, the capital of Norway, to explore the city with our history, culture and traditions – 19th to 21st of August 2010 – was a thrill of a lifetime! 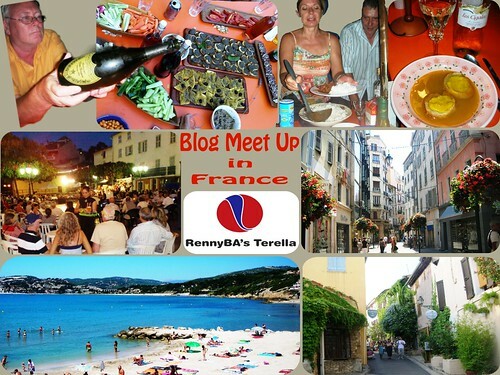 A dream came true for me and good blog and social media friends from all over the world. 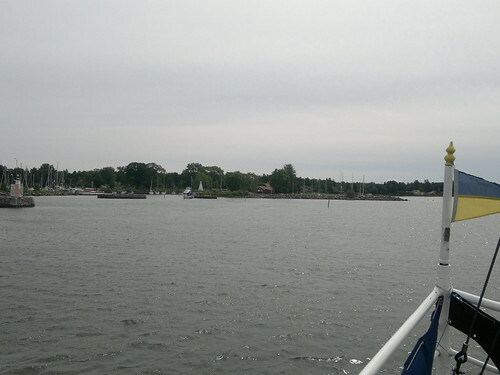 The idea – after many requests in comments and mails – was to give everyone in Blogosphere a chance to come and see some of the attractions presented on this blog over the years. 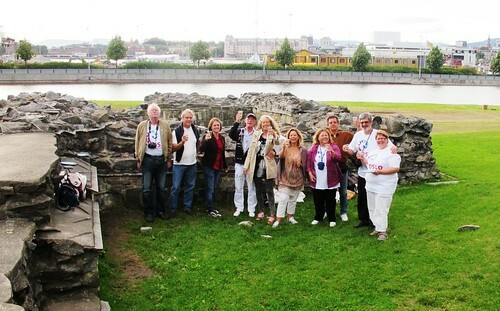 It was a perfect match to one of my sayings: “Blogging Connecting People” and a proof of what networking is all about: “A Givers Gain”. 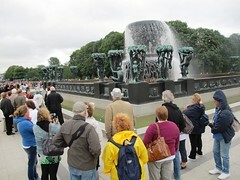 To me this gathering was an ultimate outcome of sharing from Oslo and Norway. Today I want you to join me and take a look back and reminisce over the amazing time we had. 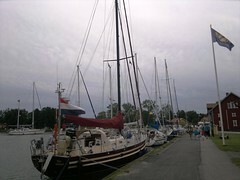 Thanks to First Hotel Millennium we had a centrally located hub to meet up each day before our adventures. We thought we might be relaxing there in the evening but every single day things took off and we dragged ourselves in to the hotel totally exhausted and often quite late ; -) Never a dull moment and no time to waste at OsloBG! The hotel manager and staff met with us several times throughout the planning process and helped us with setting up, tourist information, and an area to meet up and plan our daily adventures. Every time I pass by First Hotel Millennium now I think of our OsloBG and what a wonderful time we had. 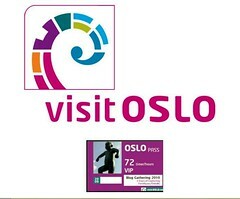 VisitOSLO was an important associate and a key contributor in making OsloBG a success. 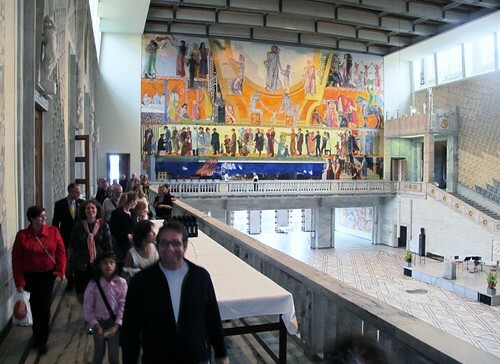 When I first talked with their Convention Manager – with my head full of ideas of a detailed program – she served me The Columbic Egg; “We give every participant The Oslo Pass, so they all can reach and enter the sights they want” – for free! The Grand Opening was at Oslo City Hall with a reception from the Mayor of Oslo, Fabian Stang. Even his own birthday didn’t keep him from greeting these excited bloggers and providing us with an exceptional guided tour of the City Hall. 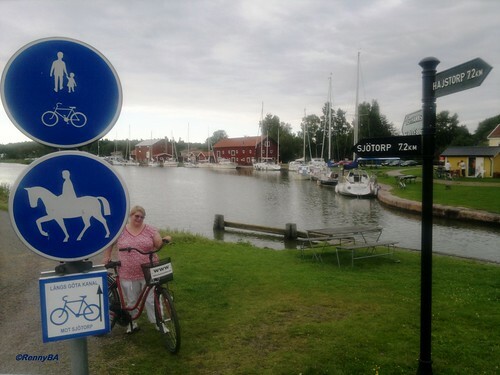 Even in places I had never seen before!! All of OsloBG’s guests had a little gift from their homeland for the Mayor’s birthday and to thank him for receiving us on this special occasion. After the reception many of us went for dinner at Aker Brygge and had a chance to be better acquainted over good food and wine. 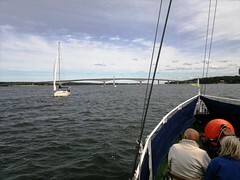 The first day as you may recall we had a guided tour around the highlights of Oslo. 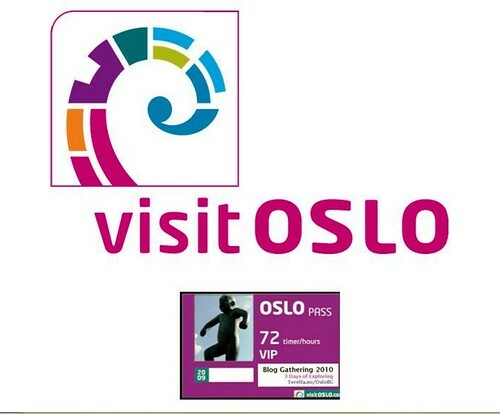 Oslo Guideservice provided excellent transportation and information on some of the most interesting sites in the area like Vigeland Sculpture Park and Holmenkollen ski jump. The guides took us through Vigeland Sculpture Park and gave us an insight into Vigelands work and vision in designing every detail of this beautiful green area of Oslo. Although the weather didn’t cooperate as well at Holmenkollen ski jump, the best part was thankfully inside and many made it to the top for the ultimate view. 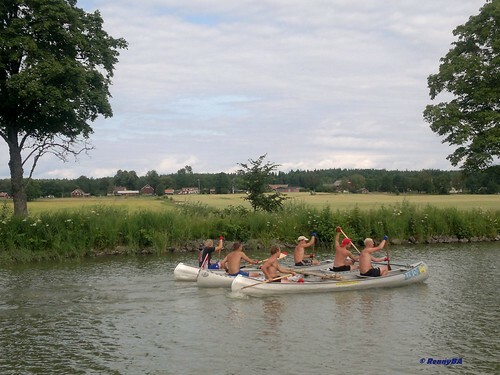 On the 20th the group was divided into activities of choice. 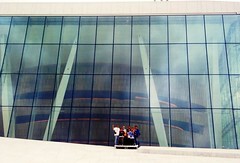 My group had a guided tour of Oslo Opera House, a trip round the main street of Karl Johan, and watched the changing of the guard at the Royal Palace. 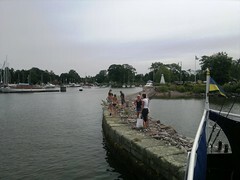 Meanwhile Tor’s group had a day on Bygdøy island exploring the museums and beaches there. 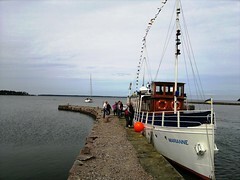 In the evening we had dinner at a small but charming restaurant on Bygdøy Island with a fantastic view of Oslo fjord. I want to give a special thanks to all the participants. One thing we really felt after you all went home, when we looked back we felt so certain that Oslo Blog Gathering would have been different if even one of you didn’t come. One of the best things about OsloBG was the people and how everyone added a little something special to the group. In short it wouldn’t have been the same without you! 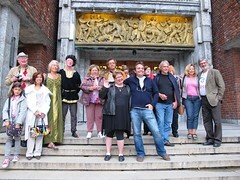 Click to see The participants and their adventures posts! We hope one day to meet everyone again, and who knows maybe there will be another OsloBG in the future? Sweden’s most beautiful waterway, the Göta Canal from Sjötorp by Lake Vänern to Stockholm, takes you through green forests, along sparkling lakes to picturesque homesteads in a breathtaking rural landscape. Anyone who longs to relish the silence of intact and untouched nature is definitely in the right place here and a bike trip is one great option to take it all in. 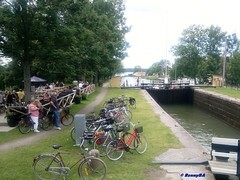 Celebrating its 175th anniversary in 2012, Göta Canal is Sweden´s construction accomplishment of the millennium. 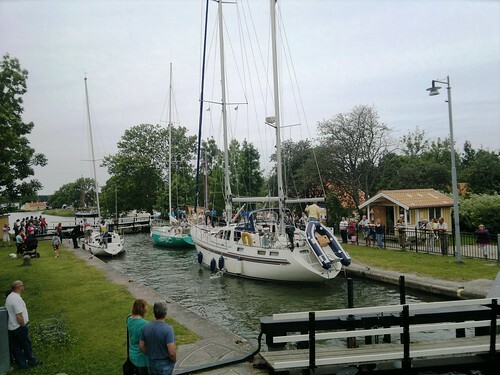 Built between 1810 and 1832 under the leadership of the famous engineer Baltzar von Platen – employing some 58,000 soldiers as laborers – it’s 190 km long, passing through no less than 58 water locks and reaching a total elevation of 92 meters above sea level. All along the canal you’ll find an abundance of sights and attractions, lush, scenic vistas and many charming towns and villages, all embedded in a unique canal atmosphere. 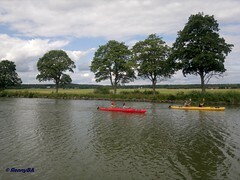 You can rent boats, canoes and kayaks in many places along the canal. 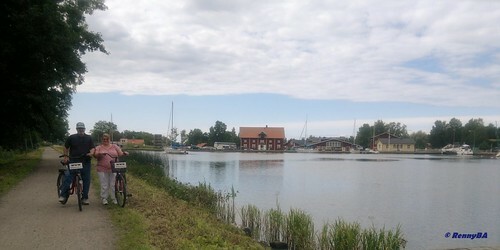 The old labor road along the canal is one of Sweden´s most popular bicycle routes, and there are also many attractive hiking trails along the way. 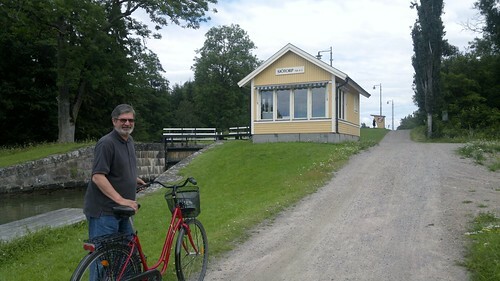 The rental bikes are sturdy and comfortable, with broad wheels that roll smoothly on gravel and grass alike. They are equipped with baskets and a luggage rack on the back so you can have as much or as little as you like with you on your trip. The models are made of solid building materials so the children (all ages LoL) can play in the water, sail boats down the canal and learn through experiencing it firsthand. 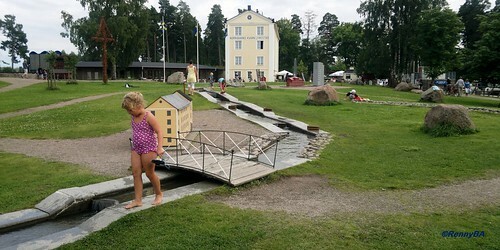 The mini canal includes locks, a waterfall and buildings from the local area and invites to play and experimentation. 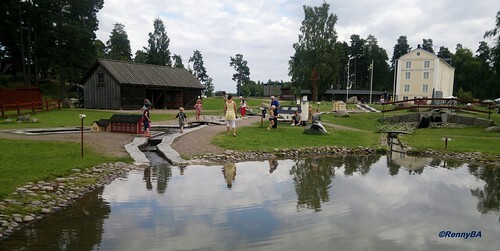 Oh and by the way, this is all free – there is no admission to enter the Norrkvärn Park. 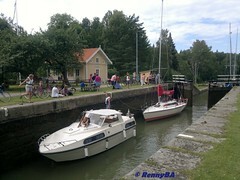 They can follow the route	or sail their boats through the locks. 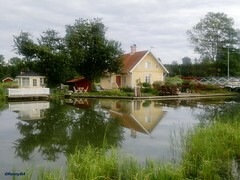 So if you want to see the idyllic heartland of Sweden from a unique perspective, a voyage on Göta Canal is highly recommended! 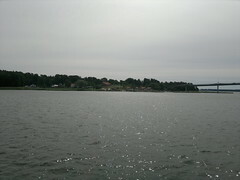 You can easily understand how this part of Sweden has a special place in the heart of this Norwegian. 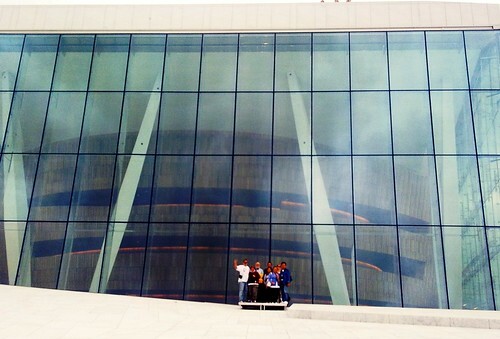 Although we have been coming here for over 10 years there is always something to experience anew. 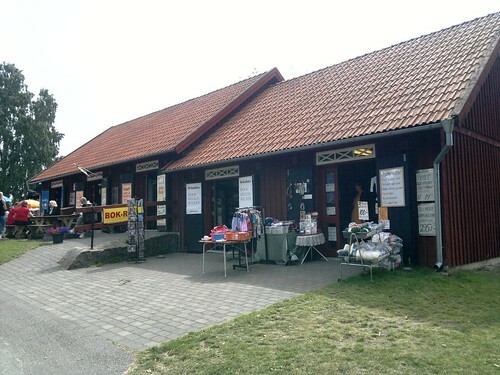 If you need more info or booking, Mariestad Tourist Office gives excellent service! 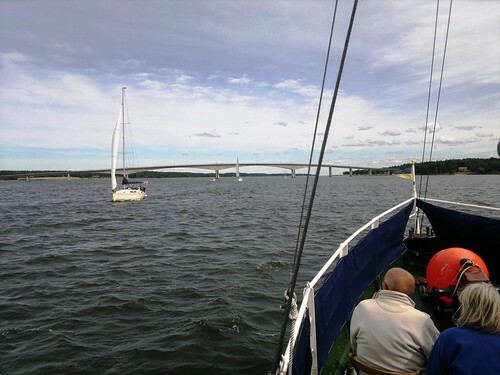 Sailing with M/S Marianne from Mariestad, known as The Pearl of Lake Vänern, to Sjötorp (the beginning or end of Göta Canal), is on our top 10 must do list for summer vacation. 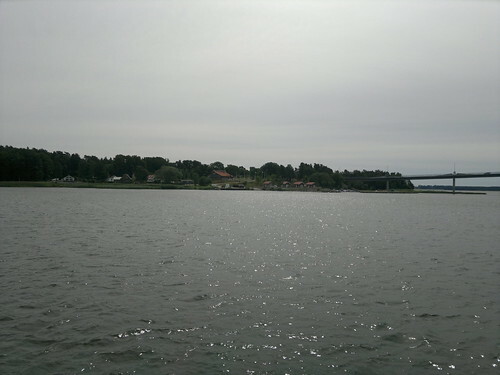 We often save this adventure for when we have guests visiting us at our vacation home like last year with my FIL (click to read the story) and this week with my sister and parents. 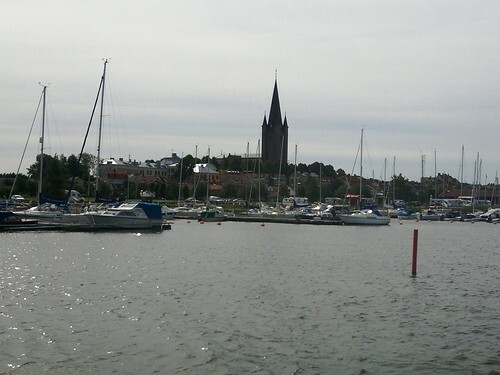 As always with my Nokia N8 mobile phone at hand, I tried my best to capture some highlights from the tour + stops and I gladly share it with you. 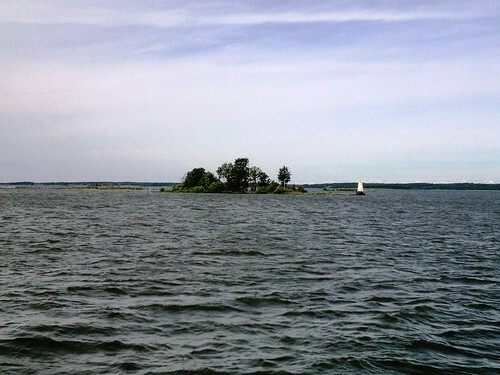 Lake Vänern is Sweden’s largest inland body of water, and the fourth largest in Europe. 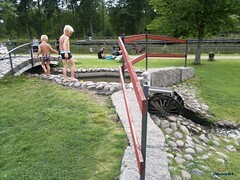 There are more than one hundred tributaries, the main ones flowing into the northern part. 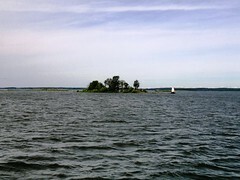 Lake Vänern drains into the Kattegat Sea (the Atlantic) via the Gota River and the combined area of these two bodies cover 10% of the total area of Sweden. 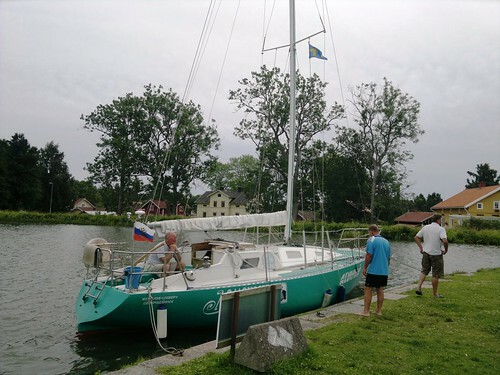 About 139 Km (80 miles) long and 70 Km (43 miles) wide, it is a significant cruising area in itself, with numerous guest harbours and natural harbours with wonderful sand beaches. 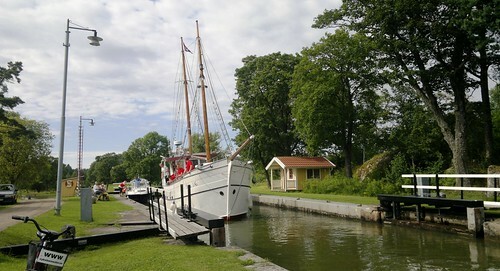 There are small charming shops by the locks, and a canal museum featuring tools used to dig the canal in the 1800s, a large collection of outboard motors, but probably the most interesting is a collection of items retrieved from the canal (including an old model mobile phone). 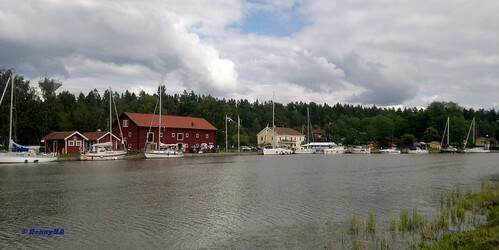 Shops with ice cream, refreshments, smoked seafood and handcrafts. The Göta Canal is one of the most remarkable waterways in the world and historically an important communication links between the inland industrial Sweden and the rest of the world. 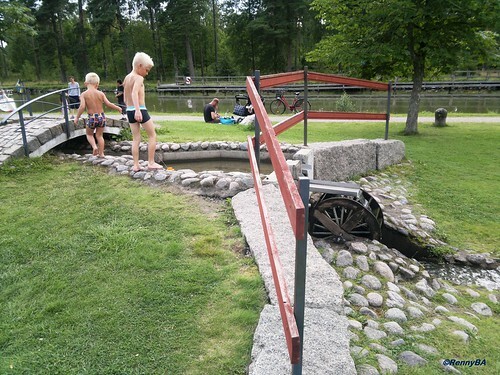 It’s 190 km long, dug out by hand between 1810 and 1832 by some 58 000 soldiers removing 300 000 cubic meters of rock and earth in order to create the three-meter deep and 14-metre wide canal. The construction foreman and certainly the one who promoted the project most strongly was Baltzar von Platen. A trip like this on M/S Marianne gives our guests a view of our summer paradise in a nutshell. 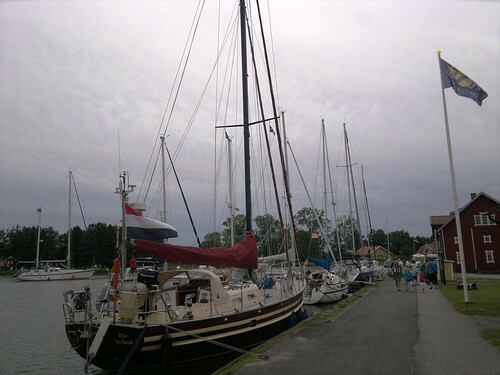 One experiences the city and the country, the lake and canal, not to mention the culture and the history of the Mariestad area. 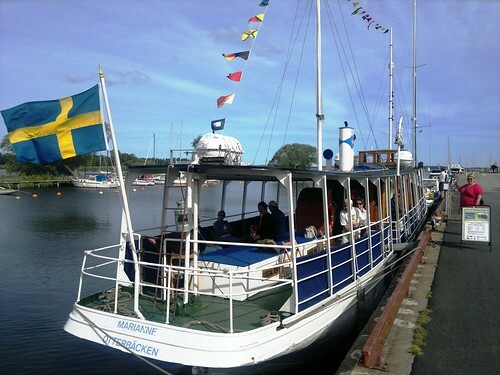 It has the additional bonus of being a recreational day with a 2 hour trip on the water and a chance to explore the local area.